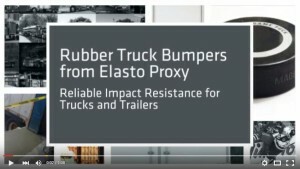 Rubber truck bumpers from Elasto Proxy help keep trucks and trailers on the road instead of in the shop. Learn how these impact-resistant rubber bumpers meet ASTM standards, and are available in 10 different types for vehicle protection. Rubber truck bumpers help protect trucks and trailers as they backup to loading docks, or when a driver opens the truck’s side doors. They absorb energy from low-speed collisions and low-force impacts while helping to keep trucks on the road instead of in the body shop. These rubber auto parts cost less than truck body repairs, and are easy-to-install with standard metal fasteners such as screws, bolts, and washers. NSF/ANSI Standard 61 establishes health-related requirements for rubber seals and gaskets used in potable water systems. 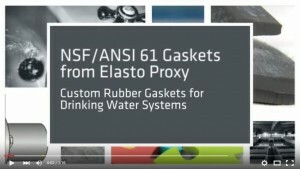 Learn how NSF/ANSI 61 can affect your project’s costs, how there’s a difference between NSF/ANSI 61 complaint and NSF/ANSI 61 approved materials, and how water jet cutting and infrared splicing create high-quality custom rubber gaskets. Custom rubber gaskets that are used in drinking water systems need to be free from chemicals that can leach into water supplies and affect human health or cause unpleasant tastes and odors. Additives such as plasticizers, antioxidants, and solvents are designed to impart desirable material properties, but can react unfavorably with water treatment chemicals such as chlorine. Leachates from rubber gasket materials can also affect the formation of fungi, algae, and bacteria. 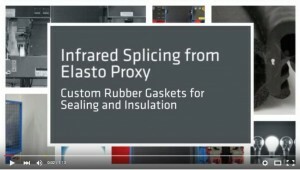 Elasto Proxy custom-fabricates EPDM gaskets made of certified transit grade (CTG) rubber that resists flame, smoke, and toxicity (FST). 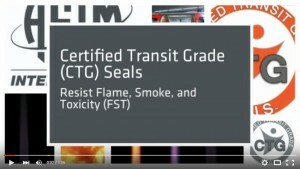 Technical buyers and design engineers who source custom-fabricated CTG seals can meet mass transit industry requirements and precise project specifications.